With contributions by Gary Nisbet. 5th volume of Public Sculpture of Britain. In this fifth volume of Public Sculpture of Britain, most of the greatest British and some continental sculptors are represented with important sculptures – John Flaxman , J H Foley , John Gibson , Francis Chantrey , Carlo Marochetti , Auguste-Nicolas Cain , Hamo Thornycroft , George Frampton and many others. Glasgow was never provincial has always resisted artistic centralization based on London. Elsewhere public sculpture has largely represented provincial excursions by London sculptors. Edinburgh of course had its own sculptors, some of whom worked in Glasgow, but it lacked both Glasgow’s wealth and international links. Liverpool had eminent sculptors but they lived mainly in Rome. 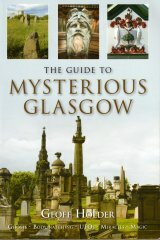 Only in Glasgow, and perhaps also in Edinburgh, were there significant local workshops, often family based, training dynasties of native sculptors. These workshops themselves depended on another great Glasgow specialism, architectural sculpture. Local architects naturally looked to local sculptors for the sculpture intended to enhance the beauty, proclaim the importance and explain the purpose of their buildings. The study of architectural sculpture, falling between the history of art and the history of architecture, has been until very recently generally neglected – even by that great pioneer, Rupert Gunnis. Ray McKenzie has in this volume for the first time demonstrated the importance of Glasgow’s architectural sculpture and explained its function with a wealth of superbly arranged and carefully marshalled detail. Published by Liverpool University Press. Publication date: 1st March, 2002. The NRP Series - Public Sculpture of Britain.